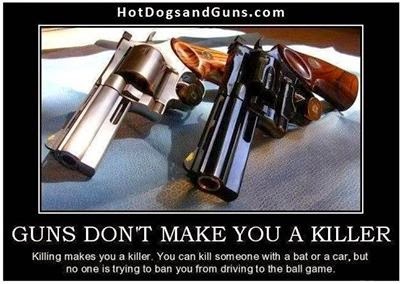 Guns don't make you a killer. Killing makes you a killer. You can kill someone with a bat or a car, but no one is trying to ban you from driving to the ball game.